Technology Automotive - 7 Benefits of Wax for Cars You Need to Know - Cars are one of the valuable assets that can be owned by someone. In addition to being an asset, cars and luxury cars can also be a form of investment. Therefore, if you have a car it should be treated as well as possible. In order to be used continuously and the economic value is not reduced. There are many ways you can take care of your car. Everything depends on the type or brand of the car. How to care for a diesel-fueled car will certainly be different from how to care for a gasoline car. Certain brand cars will also be treated differently with different brands of cars. For example, a simple way to treat a Toyota Avanza car is different from how to care for Daihatsu cars and others. The difference can be when changing car oil, how to wash the car engine, how to repair a car's AC compressor and others. Not only that, the color of car paint can also distinguish the way it is treated. How to care for a black car will be different from how to care for other color cars. Black cars need to use wax regularly so that the sparkle can be maintained. In addition, the benefits of Wax for other cars will be discussed further in this article. What are the benefits of wax for cars? Wax not only benefits black cars. Cars with other colors can also be waxed and the benefits felt will not be much different from black cars. 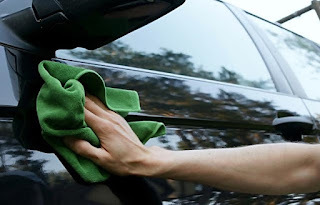 Reporting from spiffyscarwash.com, there are at least some benefits that can be obtained when wax is applied to the car. When you apply wax to the outside of the car, you are actually coating the exterior of your car with a protective layer. Wax can produce softness on the exterior of the car. So that it can reduce friction between the exterior of the car and dirt outside the car. External objects that hit the car will slip and not damage the outside of the car. If the car you are using now is a rental car, then when returning it all forms of damage will be calculated as a fee. Including color changes and small scratches that appear. Using wax can help reduce these damage. Try to compare a car that is waxed with a car that is not waxed. If it is often exposed to rain, cars that are not waxed will fade. Whereas the waxed car will be cleaner even though it is splashed with rain. Wax can not completely protect the car from UV rays. But at the very least, the car that is applied to the color wax will last longer than a car that does not use wax. Paint on waxed cars is also not easy to peel. The waxed car will look cooler than the non-waxed car. This can be seen from the shining paint after waxing. With today's technology that is increasingly advanced and modern, waxing on cars certainly no longer takes a long time. You may only need to wax the car around 2-4 times a year. That is the explanation of the benefits of wax for cars. Wax can indeed provide many benefits for your car. Starting from protecting the car from various impurities, making car paint last longer to make the car look cooler. Therefore, waxing is one of the car treatments that should not be forgotten. 0 Response to "7 Benefits of Wax for Cars You Need to Know"